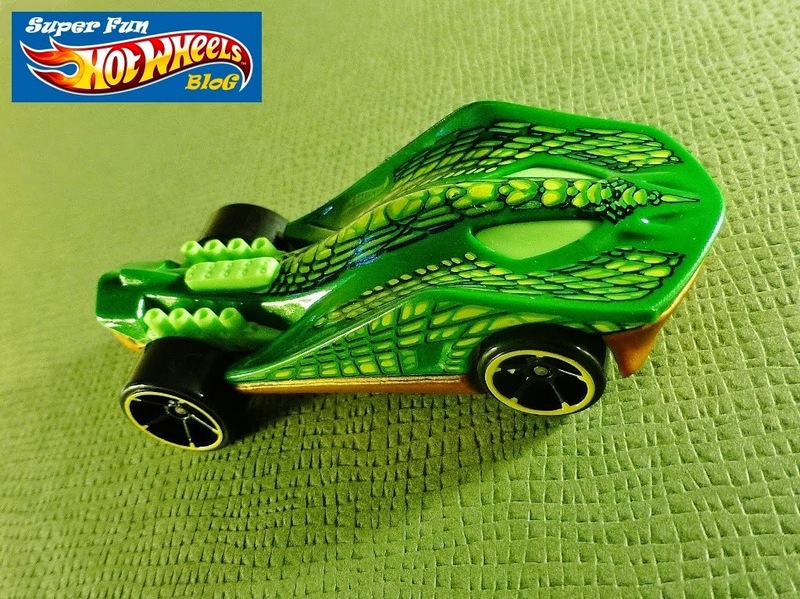 The star of this new video is the Super Stinger, which has a plastic body, metal base, and wheels that roll like a dream. While I'm somewhat a fan of alien-looking, fantasy Hot Wheels, I might not necessarily have picked this up. That's a shame, because it's fast and loves the track! 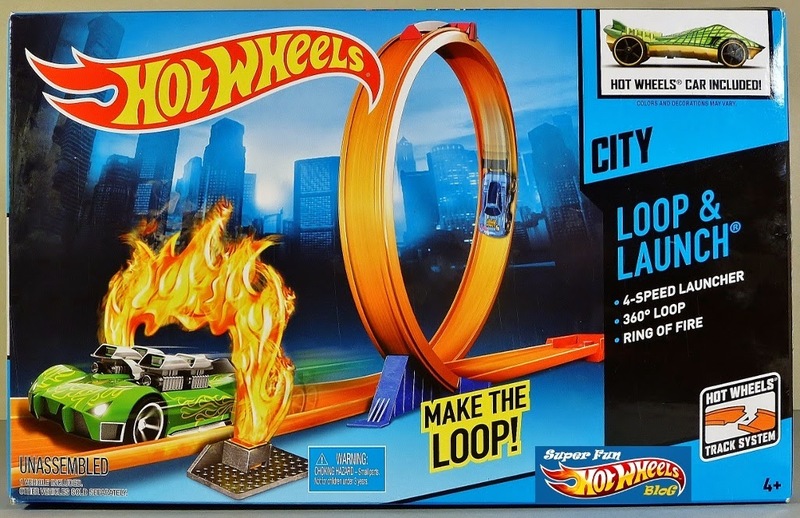 The loop in this set has the aesthetic advantage over my stock Track Builder loop in it's Hot Wheels marquee at the crest, which I like, and a launcher far more powerful that the one included in the Track Essentials Curve Pack I got a few weeks ago. 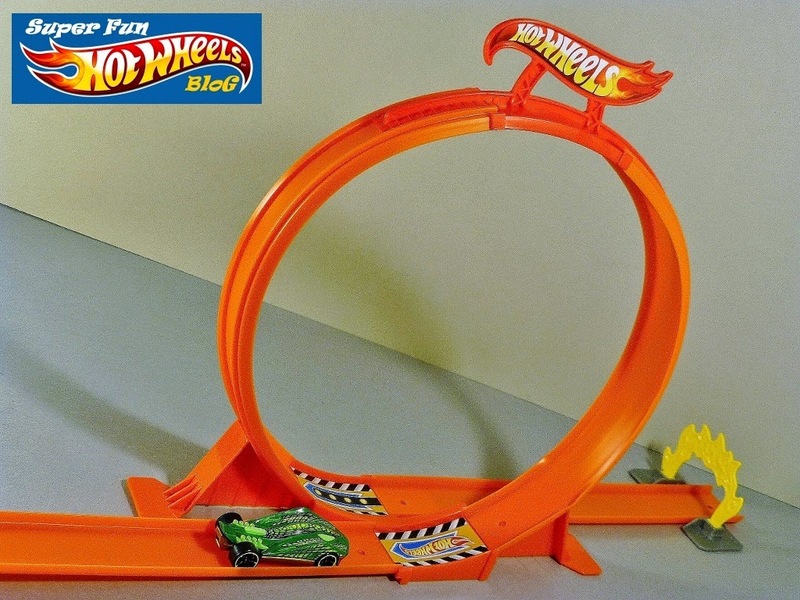 If you can only pick up one Hot Wheels playset up, go with this one- LOTS of fun!